One of the most important things a homeowner can do is to provide regular and correct appliance services for all of his residential appliances. From installation to annual maintenance, an appliance without regular service will be doomed to a short life span, which is the last thing appliance owners want. A well-maintained, properly-serviced appliance will run correctly and properly for the entirety of its lifespan. So why degrade performance, increase your annual power bills, and perpetuate an environment that will wind up costing you thousands of dollars in out of pocket replacement costs further down the line? Contact Same Day Appliance Services and ask about our Arlington appliance service. Our Arlington appliance service can be used to install and maintain any residential appliance. If you need assistance with installation of your residential appliances, including ovens, stoves, disposals, dishwashers, washing machines, or refrigerators, contact us today. 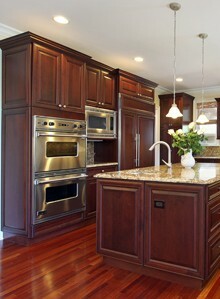 We correctly install a wide array of residential appliances throughout the DC Metro Area. If an appliance is incorrectly installed, your home might experience voltage problems, which can cause internal damage to the appliance. Additionally, improper installation of an appliance can drive up your home’s energy bills and increase your overall cost of living. For example, if a refrigerator is installed too close to a wall, it will have to work harder and longer to receive the correct amount of air flow. A washing machine or dishwasher that isn’t correctly installed can cause possible water damages. A dryer that is installed incorrectly might not be able to vent as efficiently as possible, which will help degrade its lifespan. In such cases, the appliance owner will be forced to replace the appliance sooner than what was expected. For more information on our appliance installation, visit our appliance installation page. If you are unsure as to the best methods of appliance installation, then contact us today and have one of our certified and highly experienced appliance technicians handle installation for you. Additionally, our appliance services can be used for all of your annual maintenance needs. It shouldn’t be too surprising that appliances are more advanced, more technologically complex, and more powerful than models made 20 years ago. As a result, these newer and more powerful appliances need regular maintenance to correctly operate. Our technicians will top your unit’s fluid levels off, check for any damages or fraying wires, and otherwise ensure that your appliance is free of any problems. 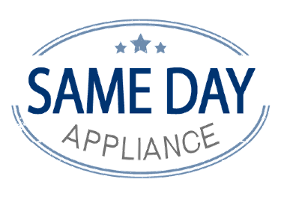 Contact Same Day Appliance Services for our Arlington appliance service! We provide installation and maintenance in Mclean, Tysons Corner, Great Falls, Vienna, Arlington, Alexandria, Falls Church, Annandale, Burke, Oakton, Dunn Loring, Springfield, Woodbridge, Dumfries, Dale City, Fairfax, Centreville, Chantilly, Fairfax Station, Clifton, Lorton, Manassas Park, Manassas, Gainesville, Bristow, Haymarket, Nokesville.